We were doing some training when Michelle had a great question for me that I hadn’t encountered before. 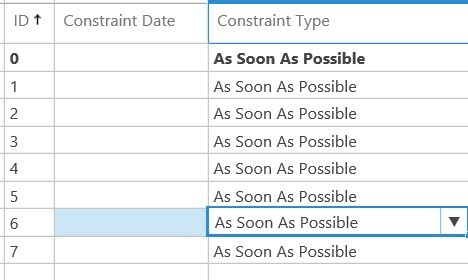 She tried to remove a constraint date from a task while in PWA. And, it wouldn’t let her. I have previously written about Date Field issues/bug/feature in the Tasks screen here, and at first I thought this was something similar but this time there is a relatively easy solution. Yes, we know that going to Project Professional and opening the task from there lets you edit the date easily, but we were staying in PWA only. 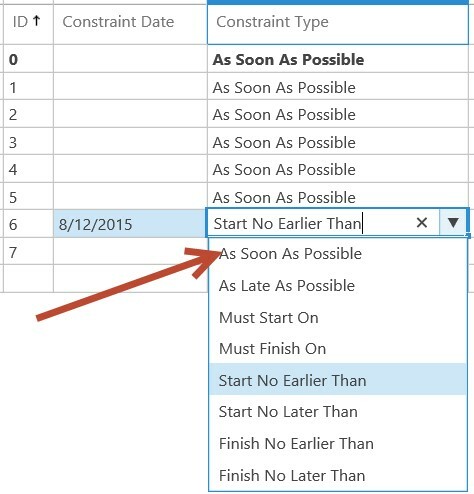 First, the task had a Constraint Date on it (in this case, it was a Start no earlier than Date). The easy thought was to just remove the date. The way it looked at the beginning – a Constraint Date of 8/12/205 on Task ID 6. HOWEVER, the moment you leave the field, the date pops right back in! 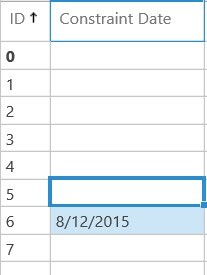 You can’t replace it with a blank or any non-date entry (like a space bar). 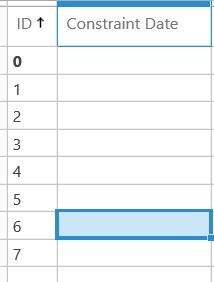 And, I think that is the only way to get the Constraint Date field cleared in PWA.